There are 115 representatives from 42 countries, including 12 Mexican competitors and 10 of the top athletes in this discipline. The third stage of the Laser Standard Men’s World Championship began on May 11th and will continue through May 18, 2016. 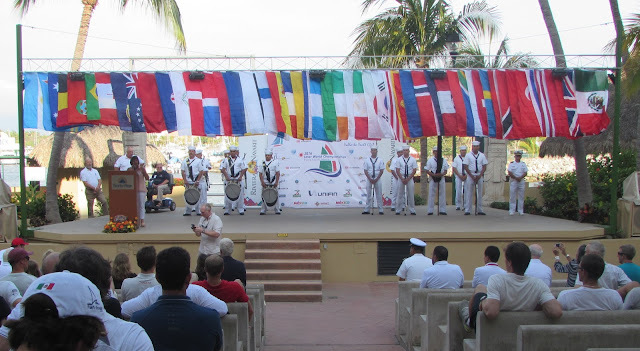 The opening ceremony took place in the Paradise Village amphitheater in Nuevo Vallarta, Riviera Nayarit. Once this competition is, the Laser Masters World Championship will begin on May 21st extending through the 28th, also in the Riviera Nayarit. For more details on the events, please click https://www.facebook.com/FMVCup/?fref=ts.